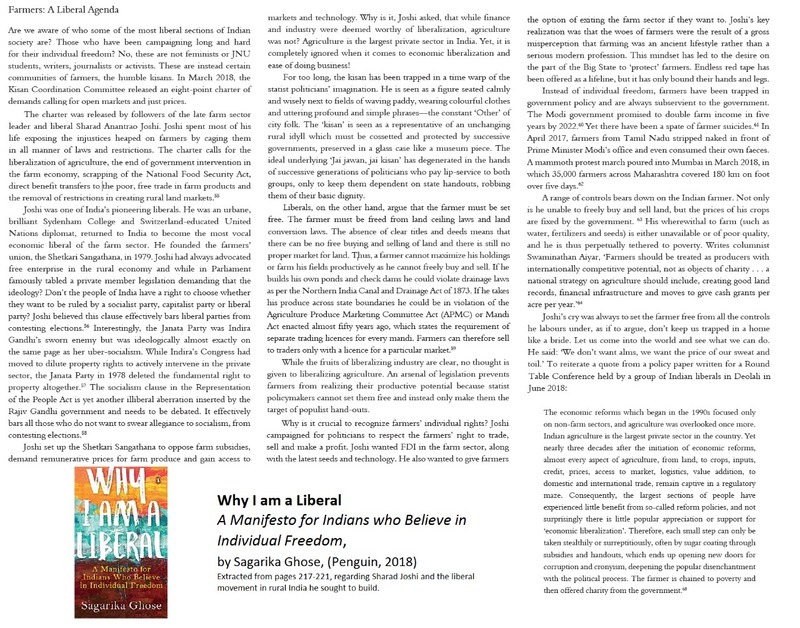 As you probably know, Sagarika Ghose has recently written a book, “Why I am a Liberal”. I came in touch with her relatively recently but she has mentioned my work and Swarna Bharat Party briefly also in that book. I’ve ordered the book and will read when I reach Delhi in late January, then provide my views on that book. But her section on agriculture is very important for 70 per cent of the Indian population. It is an excellent summary of Sharad Joshi’s ideas. Also see my TOI article here.